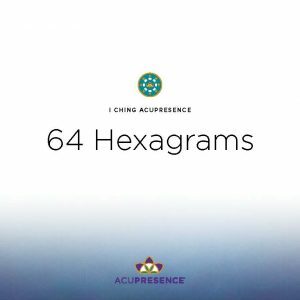 As an alternative to the needles used in acupuncture, you activate acupoints by simply locating them and attuning to the frequency of their essence. The primary tools of attunement are your presence and the intentional focus of your consciousness. You may also enjoy using a physical tool to enhance your focused connection with the acupoint. An Attunement Seed is either a tiny stick-on 24k gold pellet, gold plated or a vaccaria plant seed, embedded in a teeny square of tape that adheres to your skin. Press it onto an acupoint. The seed gently activates the acupoint and serves as a lovely reminder and invitation to revisit this sacred site and repeat its invocation throughout the day. The most accessible, easily implemented tool is your fingertip. You activate a point by simply placing the tip of your finger with slight pressure, and imagine a laser beam of light going down into the meridian. Using an Ohm tuning fork is a popular method of activating an acupoint. Ohm tuning forks vibrate with the frequency of the restorative and energizing universal sacred sound “OM.” Strike the tuning fork and place it on the point to activate. You may repeat this several times. Heat releases the healing properties of the Chinese herb Artemisia Vulgaris. Place your stick-on moxa cone on the acupoint or heat it with a moxa stick. Essential oils are natural, concentrated oils distilled from the seeds, bark, stems, roots, flowers, or other parts of plants. Flower essences are herbal infusions that are extracted from the flowering part of the plant. They carry the characteristic and unique vibrational signature of their source plant. They are typically chosen for their healing qualities and work with the acupoints on a vibrational level. Place a drop on the acupoint. You may be inspired to activate your acupoints with other items such as the point of a crystal or a laser. AcuPresence Attunement Tools are available on AcuPresence.co.